More great holiday sales, this time from Scooterworks and Corazzo. Scooterworks Chicago’s Secret Santa Sale is this Friday and Saturday, McCaleb promises lots of bikes from Genuine, Kymco, and more at or below dealer cost, and vintage scooters sold for the best offer. They’ll also be offering big specials from scooterworks.com (only for orders placed at the store these two days) with free shipping. Corazzo’s already in the midst of their big “6 Days of Christmas” sale, sorry for the late heads-up, with one special per day for the next few days. Don’t forget Scootmoto is also a great place to stock up on holiday gifts for scooterists or yourself. We don’t have any big specials because our prices are always stupid-low (and include shipping!) but we do have new 2010 Scooter Calendars and the new issue of Bumpstart and we’ll be adding a few new items in the next couple days including Voodoo’s Buddy lighting adaptors and the new American Scooterist. 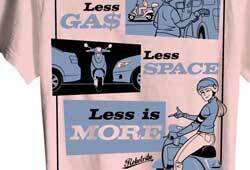 And all your Scootmoto orders benefit 2strokebuzz and other small-time scooterist-owned businesses! 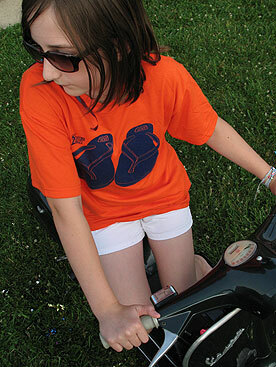 We’re almost out of the orange DOT Flip Flop t-shirts over at Scootmoto. Brown is a little better-stocked, but still going fast. I counted wrong and found a couple shirts in sizes that were listed as sold out, so check again if you couldn’t find your size and color. 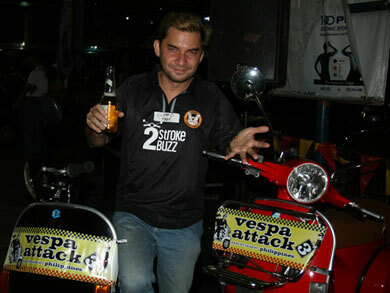 More good stuff is coming to Scootmoto soon. Maybe even tonight. 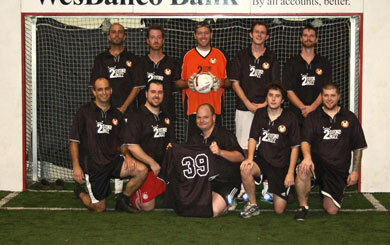 Thanks for the photo, Ryan! 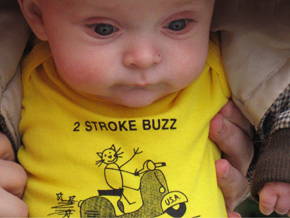 Hey, I’d really like to thank everyone that’s ordered 2strokebuzz t-shirts via Scootmoto. Sales have been great (we’ve already sold out of a few sizes) and we’re all caught up on shipping and it seems like things are going smoothly (now that I know I have to sign the customs forms for canadian orders). 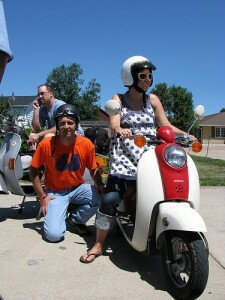 Scootmoto isn’t much right now, it doesn’t even have a logo, which is the true measure of corporate success. But like I’ve said, I have big plans for it, and I’m a fan of slow, sustainable growth. I’ve been working on the idea and researching the market for a long time, so I’m going to go back and hit up some of the people that said they were interested. If you have something you’d be interested in selling at the scootmoto store, please drop me a line at illnoise@2strokebuzz.com. If you’re a shop and you’re interested in a wholesale account, or in help sourcing and manufacturing merchandise for your store, let me know, too. I think there’s a hole in the market for grass-roots scooter merchandise, and I’d love to help people with good ideas get their plans in motion, and I’d love to help scooter shops find interesting, original stuff to sell to their accessory-hungry customers. Thanks again, customers, for your support. I had a Big Merchandise Announcement to make today, but instead I stayed up until 2am writing this step-by-step guide to changing the oil in your Genuine Blur 150. All 23 Blur owners in North America are totally thanking me right now. I tried to make it a little funny, so you might want to read it anyway, just to make fun of how little I know about changing the oil in a Genuine Blur 150. But stay tuned, we’ve got new t-shirts going on sale very soon.